For a few weeks after my mother's death, I was in possession of the painstakingly annotated high school yearbook that had been dedicated to her by the grateful class of 1968. Yes, she'd been their English teacher and yearbook advisor, but that didn't explain her obsessive collecting of signatures and tributes next to every senior's photo. I could picture her - age twenty-three, her first job after college, roaming the corridors of Pickering High School, pen and book in hand, coaxing the shyest, least engaged boy or girl to sign - Write anything. I want to remember every one of you. Could you personalize it, just a few words? Part of my plan to ward off an impending reading slump included borrowing a stack of books from the library and sampling them until one "stuck." 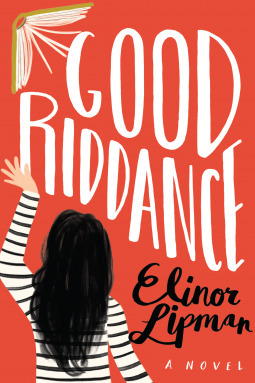 The first one I picked up was Elinor Lipman's latest novel, Good Riddance ... and I haven't put it down yet. A few reviews suggest this may not be one of her best, but I'm enjoying it so far. 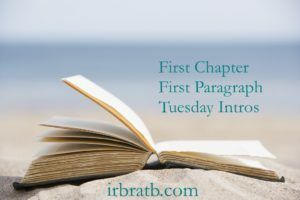 First Chapter/First Paragraph/Tuesday Intro is hosted by Vicki at I'd Rather Be At The Beach. I liked this and thought it was a fun (despite one factual error). Enjoy! Beth F - I'll have to see if I can spot the error, though maybe I've already missed it! Diane - Definitely fun... and it seems to be just what I need at the moment. I would be very tempted to continue! Patty - The old high school yearbook angle is just too tempting not to continue! I have this one on my shelf. Elinor Lipman always a fun read. I've heard it isn't her best, but I still look forward to it. Will be looking for what you think. Glad to hear you like it so far. Julie - Lipman's books are always a treat for me and, so far, this is no different. I'm blasting though it (40% already) and am completely entertained! I have this one bookmarked on Amazon, as I recently read the author's On Turpentine Lane, and remembered why I enjoy her. Thanks for sharing...and for visiting my blog. Laurel-Rain Snow - So far I like this better than On Turpentine Lane. Good Riddance was a light enjoyable read, and I agree not as good as her earlier works. 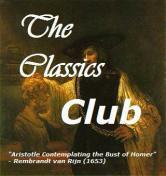 Elisabeth - This is seeming like the right book at the right time for me. There are still some of her rely books I haven't read... most notably The Inn at Lake Devine. It's waiting on my shelf though. I think it sounds fun and would keep going. Kathy - This book really is a lot of fun. I'll probably end up finishing before the end of the week. I think I saw this one on another blogger's site recently. I'm curious about the yearbook. Thanks for visiting Girl Who Reads. Donna H - The yearbook is such a focal point of the story... such a light, enjoyable story! I'm actually reading this novel right now. It's brimming with Lipman's signature humor and quirky Manhattan apartment dwellers. Catherine - Exactly! I just found the audio on hoopla, so now I'm listening a little bit, too. So glad you've found something tasty in the way of books. I love the fact it's set in Manhattan. That's tempting to me. Enjoy! 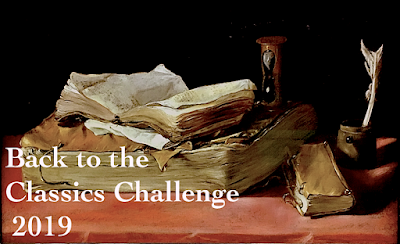 Judith - I've been gravitating toward novels set in Manhattan for several years. Love that I'be become familiar with so much of the city since my daughters have lived there... makes the novels even more enjoyable. I like what you shared and I'd keep reading. Vicki - I'm really enjoying this book! I think I'd keep reading. It sounds like it could be really fun and I'm curious to see just what kind of mysteries are lurking in that yearbook! Katherine - The yearbook angle drew me in right away! Premise is good--if the writing is also good, this good be a winner. 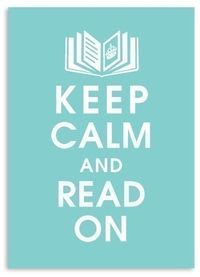 Reading slumps happen--hope you can find a groove that works for you. Libraries are gold--I love mine. JaneGS - I finished this Thursday - definitely a case of the right book at the right time. Back to that library stack! I loved Elinor Lipman's The Inn at Lake Devine, which I read long ago, back in 2003. Such a captivating read. The plot of this book sounds very promising. Deb - I ended up enjoying this book very much. The Inn at Lake Divine is on my shelf... maybe this will be the year I finally read it! Oh goodness this sounds so good! I have enjoyed several of her books before so I need to put this one on my list! Iliana - I ended up giving this 4 stars... so much fun!